Reason 1. MUSIC & TECH. Most reviews have been ooohhh’ing and aahh’ing over Linklater’s use of music which sets the veritable stage as time beats on. This trick is not revolutionary or foreign to film. Being a period film, the occasional Britney Spears hit and a glimpse at the original Oregon Trail game is to be expected. 3. 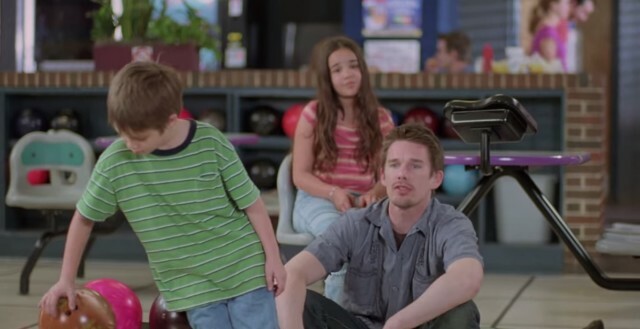 Ethan Hawke’s character, “Dad,” offers constant, ridiculous advice. He proves untrustworthy from the start but becomes a bit less so as time passes. 4. The character known simply as “Mom,” played by Patricia Arquette, obviously wants to do right by her children, but her choices prove selfish and continually deepen her sorrow and confusion. 5. All adult / potential mentors like teachers and employers become more childlike and less trustworthy as the two children age. 6. You get to know a few secondary characters who just disappear in the film. No, you never see them again. But you don’t seem to mind. 7. TITLE & MEANING. 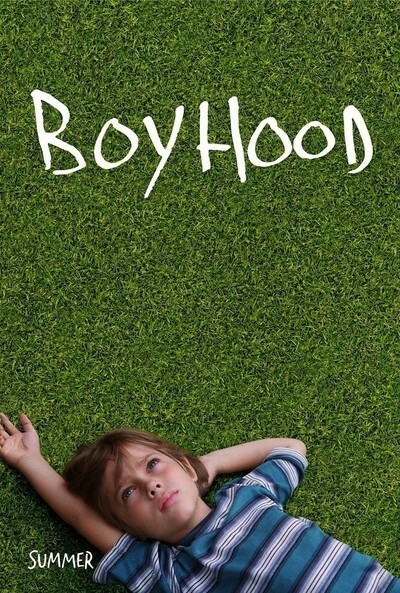 The film is called “Boyhood,” which is misleading since the coming-of-age views expressed in this film come equally from the sister and the parents. 8. STRING THEORY. For the same reason as #6, you won’t be bothered by the fact that I am skipping reason #9. Time will skip forward and you’ll just have to move along with it. Don’t worry. You haven’t missed anything. 10. HYGIENE. One fascinating observation that you will allow your mind time to ponder while watching this film, however, is the fact that the characters obviously shower less frequently as they get older. To the degree which your concern for their personal hygiene increases, your interest in the film decreases sevenfold. 11. BOWLING. Bowling is a repeated motif. I wonder if the idea of trying your best and being repeatedly mowed down is symbolic in any way. Nah. Too bad the bowling scenes are the more interesting offerings. 12. CONCLUSION. The pertinent moments of a boy’s life shown over those 12 years are in retrospect…pointless? Is that the point. If so, what a Nihilistic, God-forsaken, frustrating conclusion. Why was any of this nominated for awards? I would not call it pointless. I think the movie does it on purpose to show a life like everyone elses. It´s a documentation of growing up if you will. But your review is very interesting to read! I definitely don’t agree with all of your comments but it’s certainly nice to see somebody else who wasn’t totally bowled of by this film. I’m actually a fan of Linklater but I think much of this films merit is due to the 12 years spent shooting. My biggest issue was the kid growing up into a teenager. Most of Linklater’s films seem to have you just “hanging out” with the characters; plot usually not being a major concern. But if the characters are unlikable then the film becomes hard to endure. I thought the kid was tough to be around once he grew up. I had the same issue with Slacker, which also had some incredibly annoying characters that I literally was willing to get off screen! It sounds like I will have to see more of Linklater’s work, but also keep an open mind about his characterization over plot. Thanks so much! This review really helped me get another great point of view on this movie. 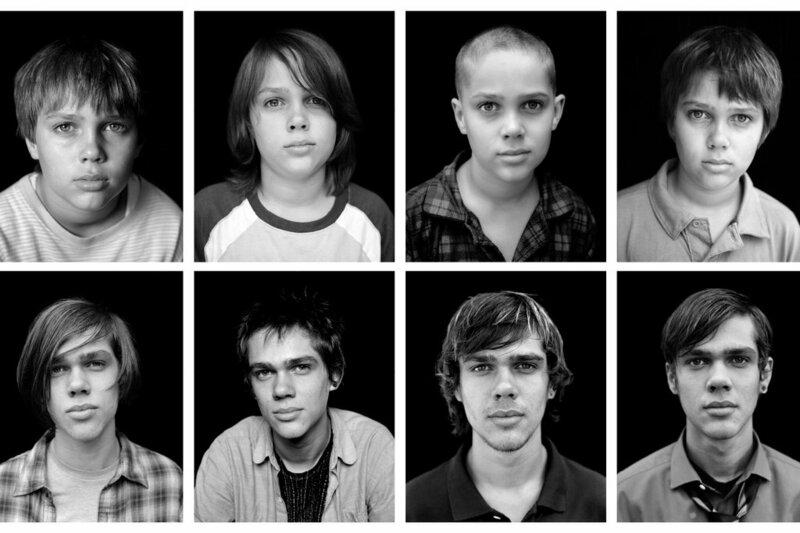 You made me see some of “Boyhood”s aspects and details i hadn’t seen and that is really great. However, I don’t fully understand why you didn’t like the ending. It seemed to me that the ending should not represent a “real” ending to Mason’s life for this reason : College means a new beginning for him as he lives on his own and seems to have found love. I’m really glad I read your review. Keep up the good work!